YES! I’ve cracked 200 films! Only 155 left to review after this… If you’d like an early look at my progress, follow me on Letterboxd to see what I watch and the ratings I dish out, plus exclusive short film reviews. Let me know your thoughts on the following movies as well! Superbly directed by Denis Villeneuve and sharply written by Taylor Sheridan, Sicario is a bold, strong cinematic punch in the gut. Emily Blunt is fantastic as Kate Macer, an FBI agent who is assigned to a hunt down a dangerous cartel. Josh Brolin and Benicio del Toro are great as her partners Matt Graver and Alejandro, respectively, and the bleak aesthetic fits the theme of the film to a tee. Some scenes do stretch on a little too long for the film’s own good and some moments aren’t for the faint of heart, but Sicario is a work of very dark art. Ari Aster’s feature film debut is terrifying, original, and thought-provoking. The film follows Annie Graham (a magnificent Toni Collette) and her family as they deal with the loss of her mother. Things start taking sinister turns, though… To say more would spoil the movie, but the way Aster builds up tension is masterful, and his utilization of different techniques to convey messages and events is genius. 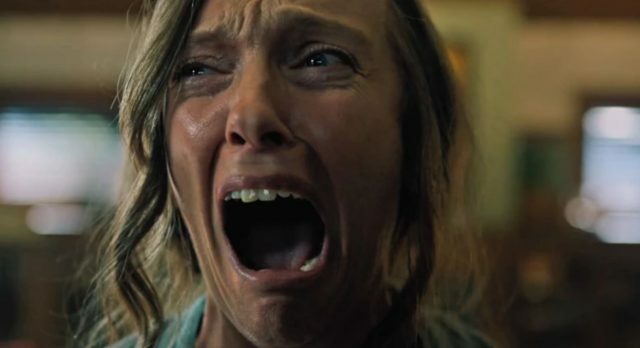 Be prepared to lose sleep after watching Hereditary. Euphoria is a beautiful work of art from Lisa Langseth. Alicia Vikander and Eva Green star as sisters Ines and Emilie, respectively, as they travel to Europe on vacation. Ines soon learns that Emilie is hiding a massive secret from her that changes both of their lives, and the bonds of family and trust are tested. Vikander and Green shine, and the cinematography is gorgeous. Some viewers will definitely be bothered by what this film covers, but I still highly recommend watching this with an open mind. Flower is a weird mish-mash of genres that sometimes sticks the landing and sometimes is crushed underfoot by its ambition. Zoey Deutch stars as Erica, a teenager who has picked up a seedy reputation. She not only has to deal with regular high school drama, but also dealing with a new stepdad and weird stepbrother. Zoey is her usual typical self in this movie, but Adam Scott steals Flower (even though he’s severely underutilized). The film ping-pongs between comedy, drama, and mystery, and the latter two are the strongest assets. The humor is puerile and formulaic, and the performances don’t sell it. This is an enjoyable weekend watch while you’re bored, but Flower ultimately feels like a movie that was stitched together. Harry Dean Stanton is phenomenal in his last role, and John Carroll Lynch did an admirable job directing his first feature film. Stanton stars as the titular character as he goes on a spiritual journey at ninety years old, and his performance is remarkable. Cranky, hilarious, tender, and tough all wrapped up into one package, Stanton deserves recognition for this role. David Lynch is also wonderful as the kooky (and it wouldn’t be a David Lynch performance if it wasn’t kooky) Howard, a man who has lost his beloved tortoise. Some parts dragged or felt misplaced, but Lucky is as strong as it’s central character. Based on the controversial real experiment that Stanley Milgram (portrayed by Peter Sarsgaard) conducted in 1961 that tested the obedience of humans by electrically shocking them, this is an interesting output from Michael Almereyda. A strong interest in psychology definitely benefits the enjoyment of the film, but the strong turns from Sarsgaard and costars Winona Ryder, Anton Yelchin, and Jim Gaffigan help ground what could have been a dry movie. There are some outlandish aspects that may turn off some, but they do add to the scenarios they’re implemented in. 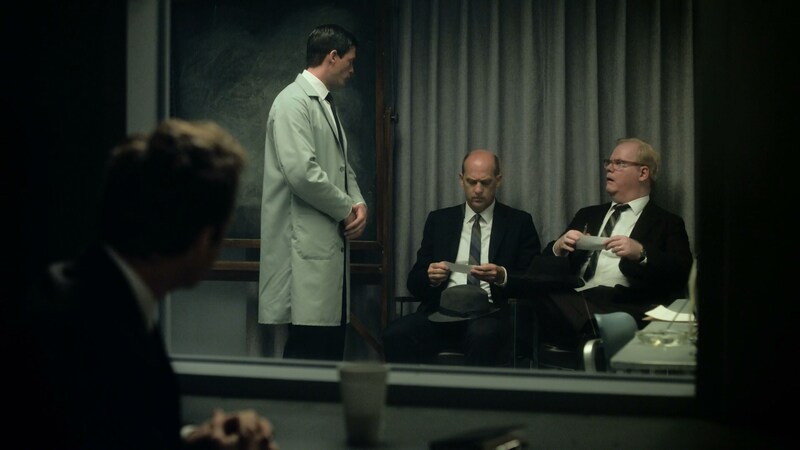 I feel like Experimenter is too long for it’s own good and the second half wavers, but it’s still an interesting look at a barbarous experiment. The second installment in the hit franchise, Anarchy deviates from the first film’s focus on one family and instead highlights three different groups of individuals. Frank Grillo is a badass, and the action scenes are brilliant, but the pacing, dialogue, and the other performances make this one of the weakest Purge films. It’s still enjoyable, but is a definite downgrade from the first movie. Based off of Richard Bachman’s (a.k.a Stephen King) novel, The Running Man follows a man named Ben (Arnold Schwarzenegger) who is convicted of a crime he didn’t commit. In this dystopian future of 2017, criminals have to compete in the titular game show. Ben has to survive this deadly competition while his innocence is proven. The concept is great, but the film drags it out. The action set-pieces are thrilling and violent, but the lulls between detract from the cheesy fun. Still, this is hella entertaining and it’s always fun to watch Arnie in his cinematic prime. After a fourteen (!) year wait, Brad Bird and Disney/Pixar have delivered this treat of a sequel to us. The movie immediately picks up where the original left off, but events soon lead to Elastigirl, a.k.a Helen Parr (Holly Hunter) getting a new job trying to shed light on the good superheroes do. This leaves Mr. Incredible, or Bob Parr (Craig T. Nelson), feeling left out and in charge of the rest of the Parr brood. I loved seeing how Bob handled the three Parr children, and the animation is exquisite. All of the voice actors, returning (Samuel L, Jackson, Sarah Vowell, Brad Bird) and new (Bob Odenkirk, Catherine Keener, Sophia Bush), knock it out of the park, and the messages this films imparts are powerful. There are some segments that could be scary for younger children and also some scenes that could trigger seizures in anyone who is epileptic, and this installment doesn’t QUITE live up to the highs of the original (the villain this time is weaksauce compared to Syndrome), but Incredbiles 2 is still a fun family film. A definite step back in the right direction after the second installment, Election Year sees Frank Grillo returning as Leo Barnes, who is now the bodyguard of presidential candidate Sen. Charlie Roan (Elizabeth Mitchell). In this third outing, elected officials are now fair game in the annual Purge, and Sen. Roan must be protected. I enjoyed the chemistry that Grillo had with the cast this time around, and was genuinely touched at points. The gore and action are fun, and the story is stronger. Some of the dialogue is still wooden, but this moves at a much faster clip and holds the audience attention more. Previous Post June 2018 Favorites!